My Diamond Jubilee biscuit boxes ! 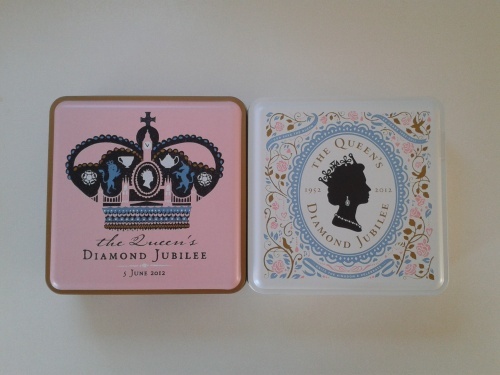 I am a bit sad to be going home to France tomorrow, so today I treated myself to these lovely Diamond Jubilee biscuit tins from Marks and Spencer. They are so gorgeous !